Gun raffles by fundraising groups and political candidates are gaining attention, including in Missouri. A couple of youth baseball groups are selling AR-15 rifles to raise money for their teams. In Missouri and Kansas, candidates running for political office have offered the assault-style weapons. During a call with reporters, U.S. 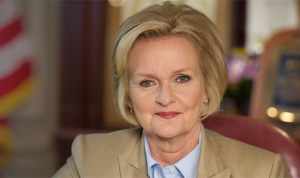 Senator Claire McCaskill, D-Missouri, says she is not a fan of the gun giveaways. 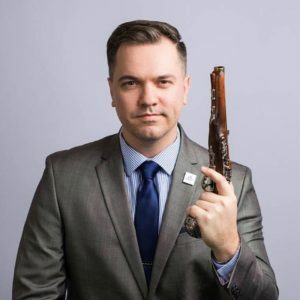 Republican Austin Petersen of Kansas City, who seeks to unseat McCaskill this year, was temporarily banned from Facebook for using the social media platform to offer an AR-15 rifle – a move some Republicans support. Facebook rules ban using the platform to buy or sell firearms, but Petersen says gun giveaways are frequently allowed. Congress is expected to get to work soon on changes to America’s gun restrictions. McCaskill supports Congress passing legislation that would require universal background checks for people interested in buying guns. She wants to ban gun accessories, like bump stocks, that allow guns to fire faster. “I think if you’re going to be 21 to buy a bottle of whiskey, you should be 21 to buy an AR-15, whether you get it in a raffle or whether you buy it at a gun store. I don’t believe right now that there’s anything that would prohibit these people from doing this other than common sense,” she says. McCaskill says supporting the Second Amendment and gun safety measures at the same time can be done. Last week, President Donald Trump, R, said he was going to sign an executive order that would ban the use of rapid-fire devices such as bump stocks. Originally, Trump also said he supports age restrictions to purchase assault-style guns. The powerful National Rifle Association jumped in shortly after a meeting last week to talk to Trump. He might not be sticking to his guns on his original position.